I finally sketched out my new painting. 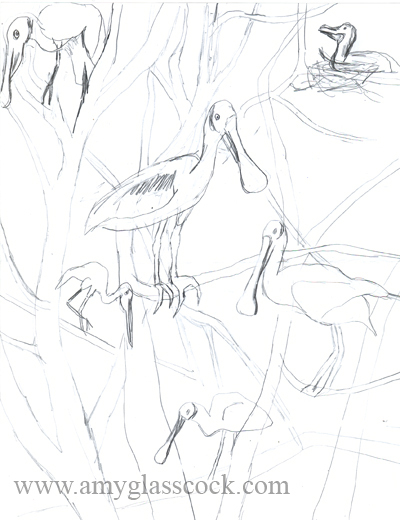 It will be a roost of some Spoonbills that I saw in High Island, Texas. This month has been crazy! Too much busy and not enough art making! 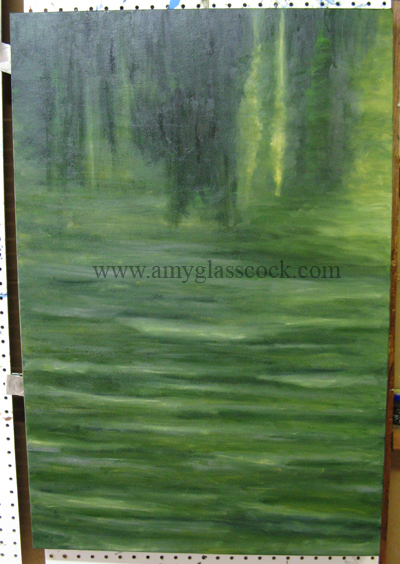 Began with the background today. 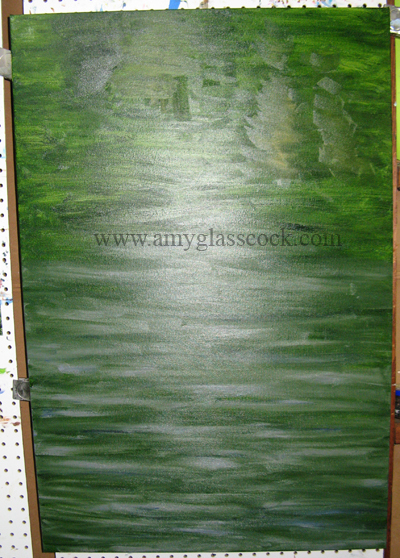 I added in the reflections of the trees in the water. 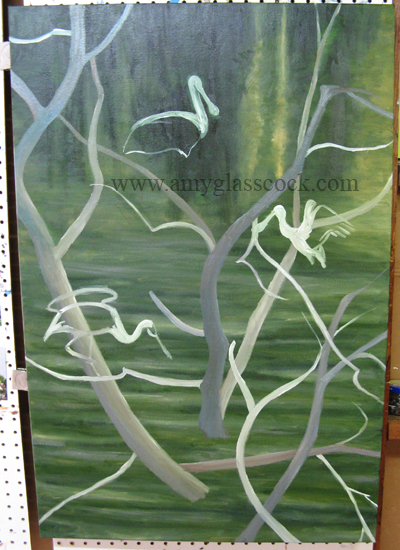 I started the curvy branches today and the birds. 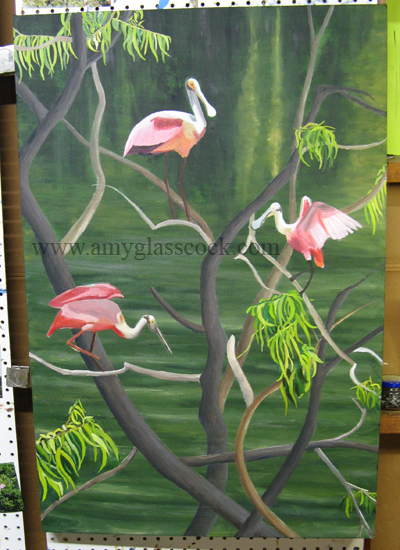 Started adding details on the birds today. 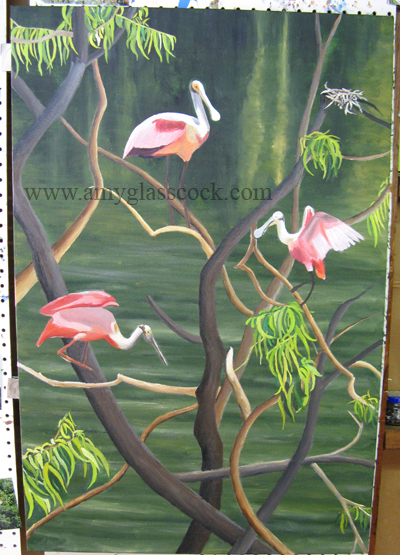 I added more details on the birds and the branches. I started adding the leaves. 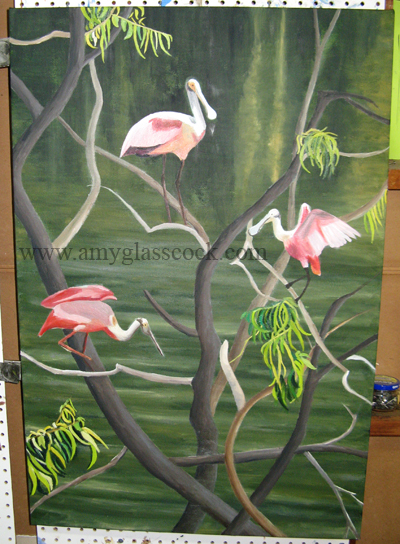 I love the pink and purples interacting with the green leaves! 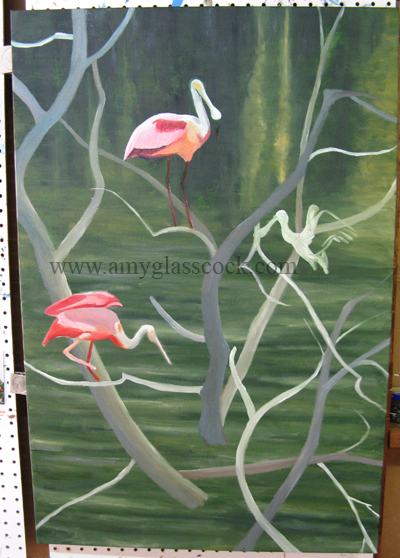 I worked on the leaves some more today. 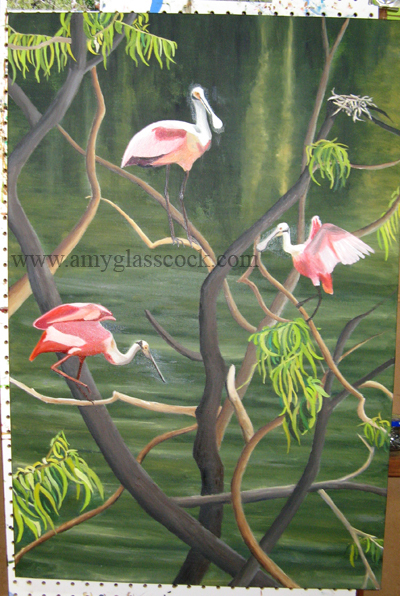 I changed up the colors on the branches some today. 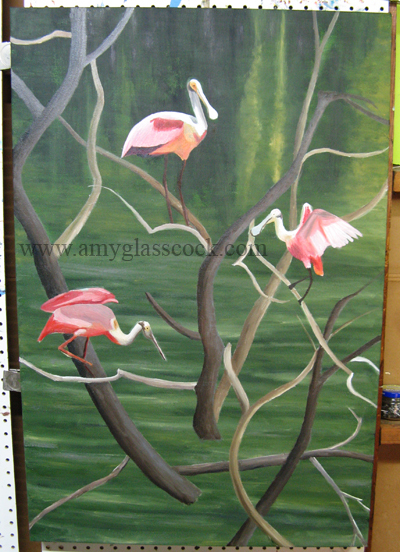 I worked on the details on the birds today. I made the beak on the top bird smaller and changed up some of the feather and leg colors on all of them. 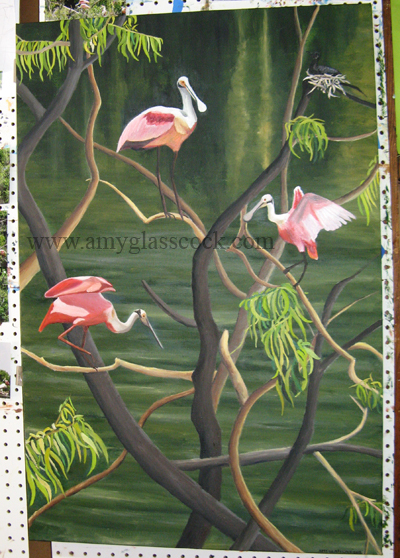 I added a few more details to the birds and added some yellow highlights on the branches.